A few years ago I was at the Gold Coast in Australia, attending Darren Rowse’s Problogger conference as a speaker. On the stage that day was a man I’d know for many years online, but never met face-to-face. His name is Chris Ducker. Chris was kind enough to give me a shout out on stage while he did his talk, although his choice of words had the audience laughing incredibly hard (I won’t go into detail, but it involved words like sploosh and some rather large hand gestures). Needless to say, Chris is a character. He’s one of the most fun guys I know in the online marketing world, who happens to also be a very successful entrepreneur. 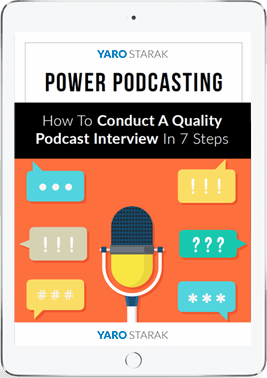 Although most people know Chris for his Youpreneur brand, the subject of this podcast, he’s also built a multi-million dollar outsourcing company in the Philippines, with hundreds of employees providing remote support services for companies all over the world. It’s because Chris has had success both offline and online, a rare thing for most entrepreneurs, that I especially admire him. 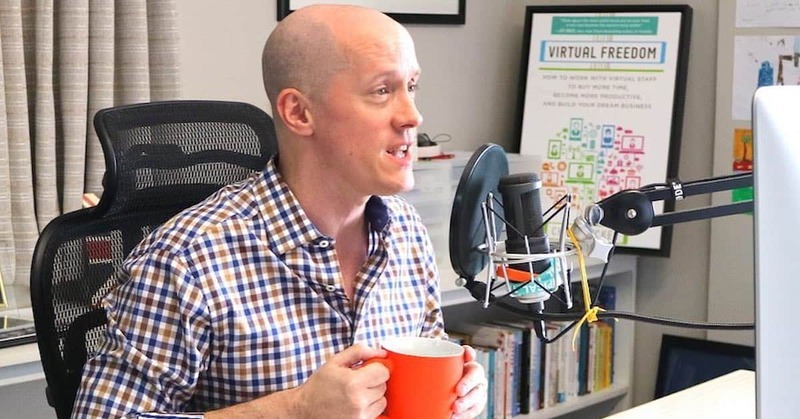 We spent some time during this interview looking at why Chris moved from running his physical business to focus on the virtual world. We then dive into the emergence of the Youpreneur brand, what exactly it means to be a Youpreneur and why he loves the Youpreneur community. A Youpreneur, as you can probably guess, means your business is all about YOU. Your name, your personality, your presence, is your brand, and it’s the driving force behind your marketing too. 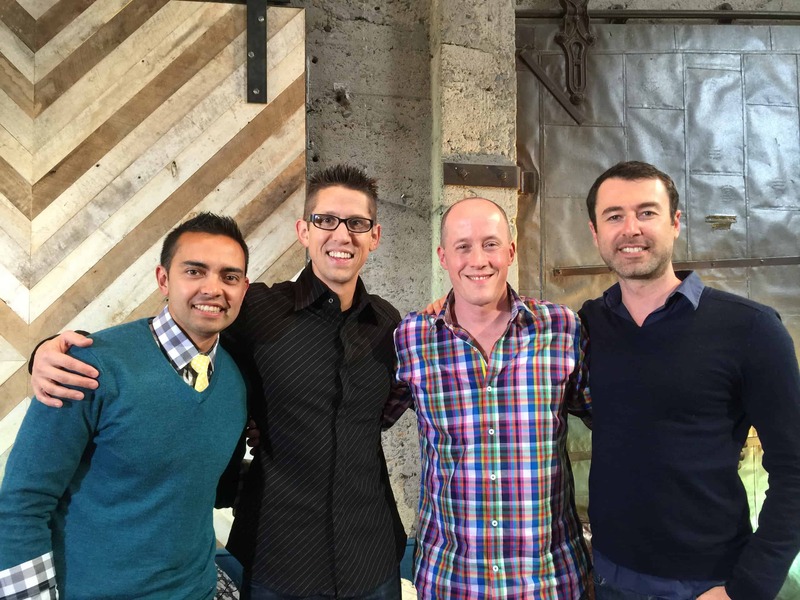 I asked Chris to explain how exactly a Youpreneur can use the internet to attract an audience. He responded by explaining what tools and techniques he recommends people use today. 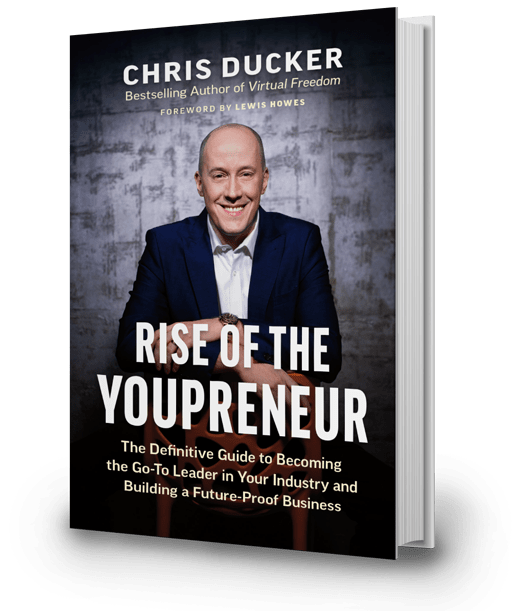 Chris has just released his brand new book, ‘Rise Of The Youpreneur‘ which is available to purchase from Amazon. I received an early release copy of the book when I attended the first ever Youpreneur conference in London in 2017. If you’re a solo entrepreneur focusing on your own personal brand as a key part of your marketing message, or you just want to learn all the steps to build an online business focused on content, this book is a great starting point. I recommend you listen to our podcast today to get a taste of what it means to be a Youpreneur, and also hear some great behind-the-scenes stories from Chris on how he built his offline and online businesses. Such helpful advice to just be YOU. And be confident in yourself to just be you throughout your journey in this life and in any venture you embark on. You gotta find your own voice in this industry. And learning to let loose and just be you helps a lot.